What is the Half Marathon Triple Crown? The Half Marathon Triple CrownSM is a fun opportunity to recognize the dedicated half marathoners who enter these three top quality events. With the three races spaced evenly apart in winter, spring and summer, it allows participants plenty of time to train and recover from all three events. All the half marathons are known for their spectacular scenery. The Carlsbad Half Marathon in January boasts an oceanfront course in Carlsbad, 30 miles north of San Diego. The La Jolla Half Marathon held in April features a point-to-point course stretching from the quaint seaside village of Del Mar to La Jolla with plenty of ocean views along the way. The America’s Finest City Half Marathon (AFC) held each August, runs from the historic Cabrillo National Monument in Point Loma, along the San Diego Harbor before winding through downtown San Diego before finishing in beautiful Balboa Park. What races make up the Half Marathon Triple Crown? The Half Marathon Triple Crown is made up of the Carlsbad Full or Half Marathon, La Jolla Half Marathon and the America’s Finest City Half Marathon. How do I register for the Half Marathon Triple Crown? Race #1 – Carlsbad Full or Half Marathon – 1.20.19 – Register Here! Race #2 – La Jolla Half Marathon – 4.28.19 – Register Here! 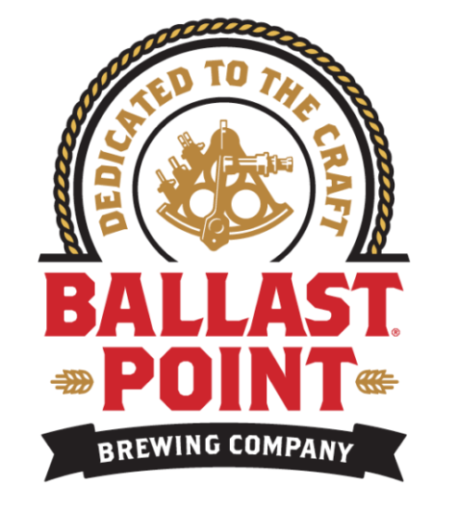 Race #3 – America’s Finest City Half Marathon – 8.18.19 – Register Here! Yes. The races must be completed in the same calender year in this order; Carlsbad Full or Half Marathon in January, La Jolla Half Marathon in April and the America’s Finest City Half Marathon in August. Once you complete the Carlsbad Full or Half Marathon and the La Jolla Half Marathon, you’ll be eligible for the Half Marathon Triple Crown! Check your eligibility here. As soon as you confirm you’re on the list be sure you are registered for the America’s Finest City Half Marathon. You will receive a special Triple Crown bib for the final race, the America’s Finest City Half Marathon in August. You will use this bib to redeem your commemorative Half Marathon Triple Crown Champion medal after your race. Each event has its own time limits – to be eligible for the Triple Crown you must adhere to each time limit. 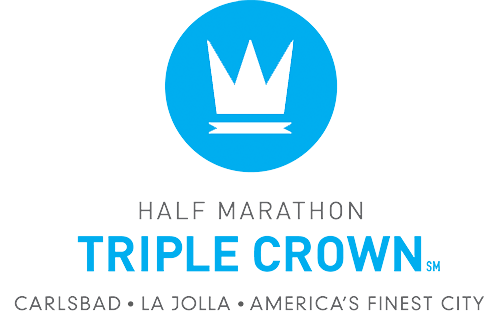 After the results from both the Carlsbad Marathon or Half Marathon in January and the La Jolla Half Marathon in April are compiled, a list of those eligible for the Half Marathon Triple CrownSM is generated. This list includes those who finished both events with official times within the course time limits. These eligible participants must register for and complete the America’s Finest City Half Marathon within the course time limit to receive their official Half Marathon Triple CrownSM finisher’s medal. Medals will be awarded at the America’s Finest City Half Marathon Finish Line Festival area. Where can i find the HMTC eligibility list? Don’t worry! Just email ellen@inmotionevents.com with your first and last name and we will look into your eligibility and add you to the official list. Do you have a training program for the Half Marathon Triple Crown? Yes we do! Join the In Motion Fit training program and train for your Triple Crown journey with the support of a team and professional coaches. Learn more here! Where do I get my Half Marathon Triple Crown medal? Finishers of the Half Marathon Triple CrownSM will receive an impressive commemorative medal at the Bling Bestowment booth at the America’s Finest City Finish Line Festival! Double bling baby! I've done the Half Marathon Triple Crown. What's next? Sounds like you’re ready for the TRIPLE Triple Crown. Learn more here!